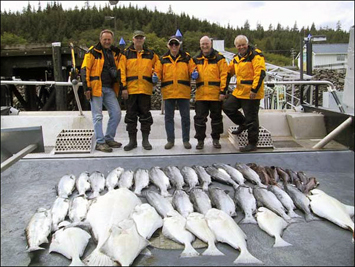 Based in Prince Rupert, we have over 35 years of salmon & halibut fishing experience on the North Coast of British Columbia. 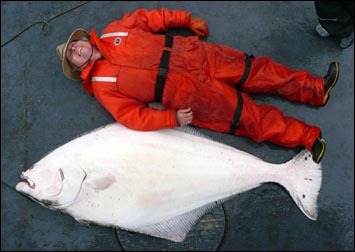 We specialize in halibut and salmon fishing charters around Haida Gwaii (a.k.a. the Queen Charlotte Islands). Commercial Marine Charters will be using a new boat for the 2012 fishing season: Wyatt’s Torch. 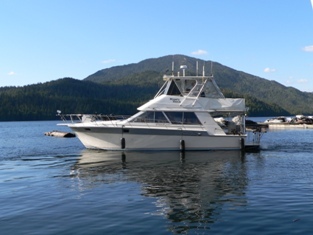 This beautiful 40-foot Silverton Convertible Yacht is customized specifically for comfort and safety in North Coast waters. Our vessel allows us to stay out on the water for multiple nights, meaning you can get to some great fishing spots that are far from any of our ports-of-call. You will also see some tremendous scenery the further you travel up and down the coastline. 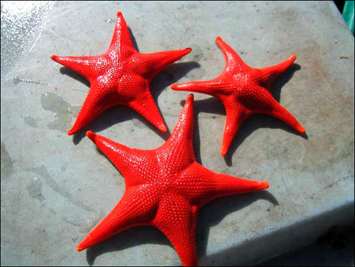 On top of fishing charters, we also offer eco-tours and whale-watching excursions. We can also act as a kayak mothership if you want to tour the spectacular coast of Northern B.C., but not too far from a cozy, warm bed — and delicious, fresh seafood meals! 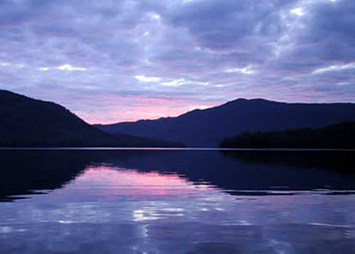 The North Coast of British Columbia is one of the best places on Earth to fish. From Prince Rupert to Haida Gwaii and everywhere in between, we’ll bring you to some of the best fishing sites where you can land a big halibut, a feisty coho salmon, or a colourful rockfish. We are currently booking for approximately five trips per month. Click the “Read more” link below and reserve your trip today! The cost for our charter boats is $1,800/day, which can be split equally among all the guests on your charter (maximum 5 guests). Aside from clothes and your toiletries, you’ll need to bring comfortable hiking boots for beachcombing, and rubber boots for on deck. You’ll also need to get your own fishing licence. Pack all your gear in a soft bag (not a suitcase) for ease of storage. We provide jackets, rain gear, linens & towels. You can apply for a fishing licence online! A wonderful experience, like fishing from my living room with the deck room on the Jennifer Gayle. Smooth ride in most any weather conditions. Spoiled to the utmost with wonderful food. Suggestion: bring more ice cream.